However, we would tend to leave out the neighbourhood and adjourn towards Serdang town or somewhere elses further for weekend breakfast as we would sometimes complain ‘boring’. 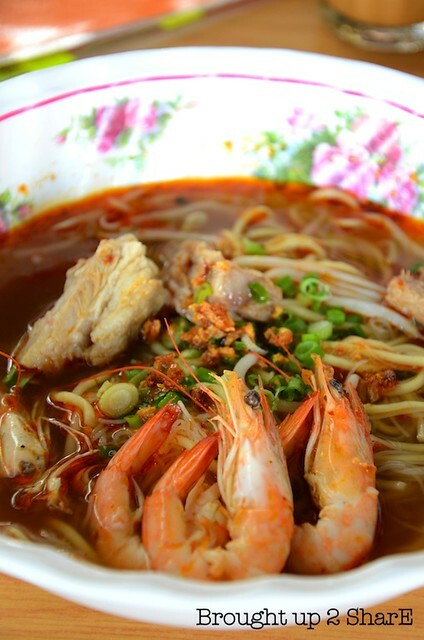 Until recently, Fook Mun Kee 福满记 came to the Equine Park neighbourhood bringing us another dining option. 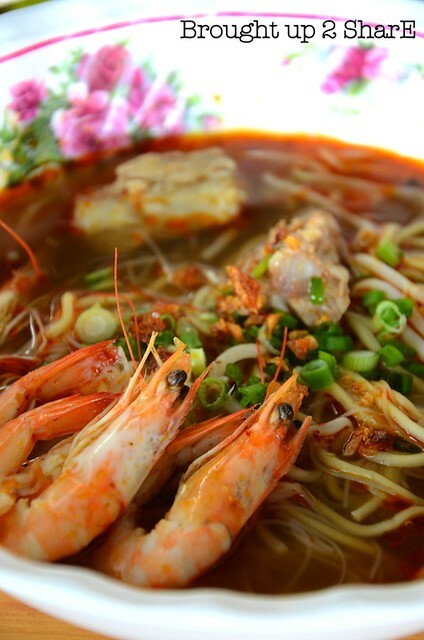 Unlike those typical kopitiams nestled with separate stalls, Fook Mun Kee specialized in a few specialities such as the Pork Rib Noodle, Hakka Mee, Curry Mee, Chicken Rice & a few others. Initially we thought this version would be like the one we had at Champs Bistro. However after tasting it and confronting the chef, we were told that the main ingredients for this preparation was the pork ribs and not the prawns. The version that most of us had at Champs was very prawn flavoured and intense. Fook Mun Kee’s soup base is mainly essence-d from the pork ribs with a lil’ from the prawn heads and shells. “It’s not exactly prawn noodle. The prawns were just the supporting ingredients”, claimed the chef. 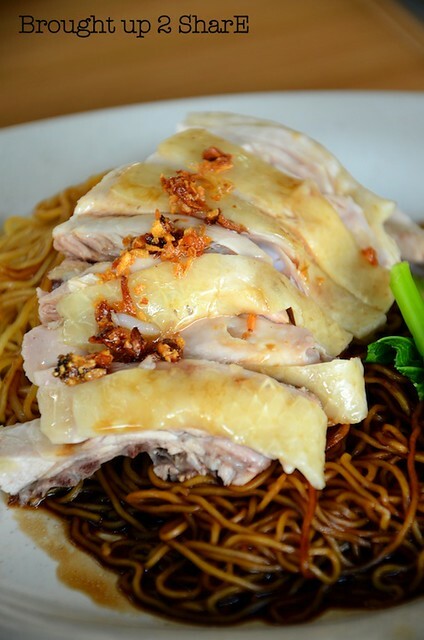 Noodles were just so-so comparing it to jalan klang’s lama egg noodles, but the chicken were very smooth and perfectly cooked. 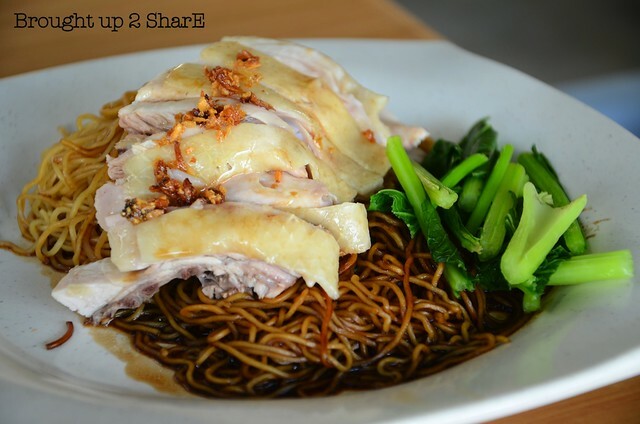 Glossy skin and smooth meat compensated the noodles’ lack of texture.